Montreal’s cruise terminal is closed down this summer while it is rebuilt and two temporary terminals have been installed downstream from the iconic Jacques Cartier Bridge to stand in for this season. About five miles from town, passengers are being given free shuttles into town but it will be a welcome day next year when the new terminal opens as it is within walking distance of downtown montreal. Elsewhere, we examine a rumour that new owners may be in the mix for Hurtigruten in the near future and look briefly at small ship marketing in Seattle. 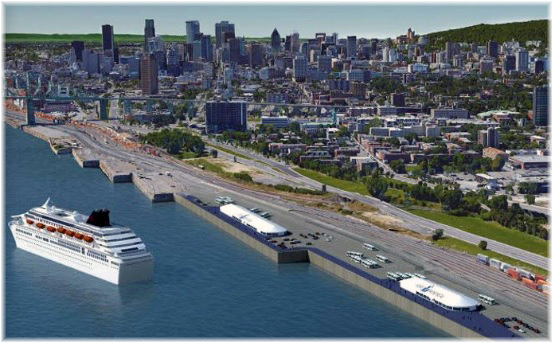 The Port of Montreal is in the midst of investing $78 million in restoring its cruise terminal, the Iberville Passenger Terminal, on Alexandra Pier. The terminal is closed for the 2016 season while the facility is being completely rebuilt. 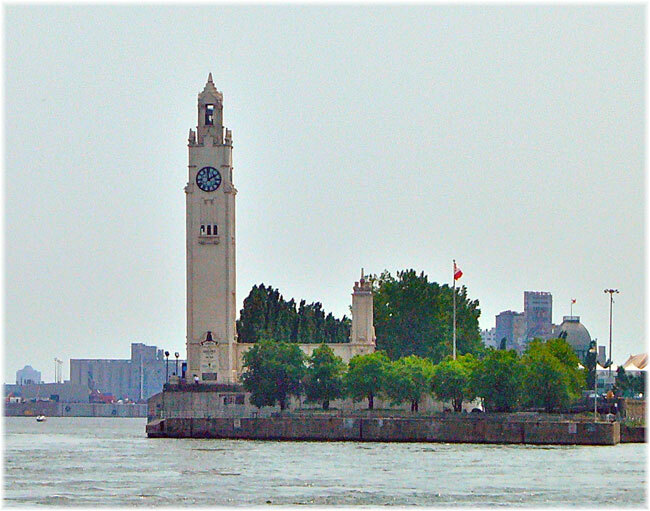 The present terminal is located just below the entrance to the old Lachine Canal on the Alexandra Basin at the foor of McGill Street, where the Cunard Line and Anchor Line Transatlantic ships used to berth, while Canadian Pacific Steamships’ Transatlantic ships docked on the opposite side. For this year’s season, cruise ships and passengers are being handled at temporary facilities at Pier 34-35 and 36-37, located downstream from the iconic Jacques-Cartier Bridge, about five miles away from Old Montreal. This bridge, which first opened as the Montreal Harbour Bridge in 1930, has served as the backdrop to many Port of Montreal postcards. Smaller vessels continue to dock at Mackay Pier, which is located close to Bickerdike Terminal but unfortunately on the wrong side of the port, meaning shuttle buses are needed to get to town. Victory Cruise Lines’ 210-berth Victory I and Blount Small Ship Adventures 88-berth Grande Caribe and Grande Mariner are using that facility this year. For this summer, two large marquees have been put up at Pier 34-35 and at Pier 36-37, offering a waiting area with access for the disabled, tourist information counter, free WiFi, vending machines for coffee, soft drinks and snacks, public telephones and facilities, taxi ranks, shuttle service to Old Montreal and free long-term parking. Pier 34-35 is primarily serving Holland America Line’s 1,266-berth Maasdam and 1,348-berth Veendam, Regent’s 708-berth Seven Seas Mariner, Silversea’s 388-berth Silver Whisper, and overseas visitors such as Aida Cruises’ 2,050-berth AidaDiva, Hapag-Lloyd Cruises’ 516-berth Europa 2, Viking’s 930-berth Viking Star plus a single call by Pearl Seas Cruises’ 210-berth Pearl Mist. Pier 36-37 his being used to handle overflow when two ships are in port. Thus Cruise & Maritime Voyages’ 848-berth Marco Polo will call there on September 10-11, Holland America’s 1,404-berth Rotterdam on September 17, Oceania’s 684-berth Regatta on September 30, Seven Seas Mariner on October 1, the 684-berth Azamara Quest on October 23-24, Phoenix’s 594-berth Amadea, with a two-night layover on October 13-15, and the 450-berth Seabourn Quest on October 21. Seabourn Quest will use all three terminals this summer. She will call at Pier 34-35 on September 11, at Mackay Pier on October 1 (with Rotterdam at 34-35 and Seven Seas Mariner at 36-37) and will be at 36-37 on October 21 (with Seven Seas Mariner at 34-35). 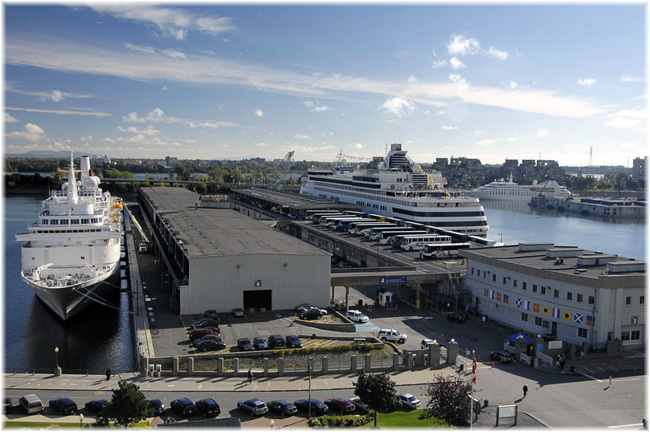 The use of these sections for cruise ships actually raises some history in the Port of Montreal as passenger cruising from Pier 34-35 occurred once before, when the Clarke Steamship Company was based there from the mid-1950s to the early 1960s. Before the war, the piers had been used for ocean vessels while the coastal passenger ships called at Victoria Pier. But with the 1950s mining boom on the North Shore and increasing purchases by Canada’s newest province, Newfoundland, cargo flows soon outstripped the shed capacity at Victoria Pier. In 1955, Pier 34 therefore became the base for Clarke’s passenger and cargo sailings to Newfoundland and the Gulf of St Lawrence. A big reason for this was that Pier 34 had over 44,000 square feet of shed space compared to only 2,970 square feet in Clarke’s previous shed at Victoria Pier. On the passenger side, two ships sailed every week of the navigation season, usually April through November, from Montreal to the Gulf of St Lawrence. Every Monday and Tuesday, the 76-berth North Shore departed for the Quebec North Shore and the 46-berth North Gaspé for the Gaspé Peninsula, with alternate voyages extending to les Iles de la Madeleine. As Pier 34 was downstream from the Jacques Cartier Bridge, departures were not as dramatic as they had been from Victoria Pier, where ships would swing out from the pier, turn and catch the current and then sweep down under the bridge before proceeding down the St Lawrence. Nevertheless, passengers still had the long sweep of Montreal’s port before following the St Lawrence Ship Channel down towards Quebec. But after three years at Pier 34, the line’s passenger ships moved back to Victoria Pier, with the cargo ships remaining at Pier 34 and expanding as well to Pier 35, which offered an even bigger cargo shed of 53,600 square feet. The North Gaspé thereafter sailed from Victoria Pier’s Windmill Basin, but the North Shore moved back to the cargo piers in 1959, spending the next three years based at Pier 35. 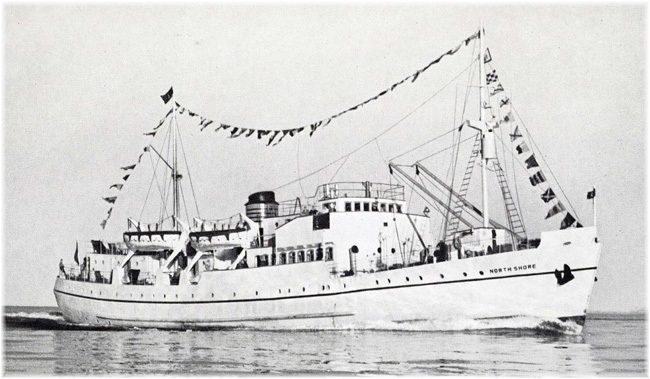 Clarke’s passenger services came to a close, however, with the transfer of the North Gaspé to a new base in Nova Scotia in 1960 and the sale of the North Shore to Greece’s Typaldos Lines in 1961. That same space that was once used by Clarke ships is now being used as a temporary home for cruise ships. Among the attributes of Montreal’s new cruise terminal will be a glass observation tower, from which it will be possible to view not only Mount Royal and the Montreal skyline but also the deep sweep of Montreal’s port, itself a thousand miles from the sea. The new tower will join the earlier Sailors’ Clock Tower on Victoria Pier, which was officially opened by the then Prince of Wales, later King Edward VIII and the Duke of Windsor in October 1919. 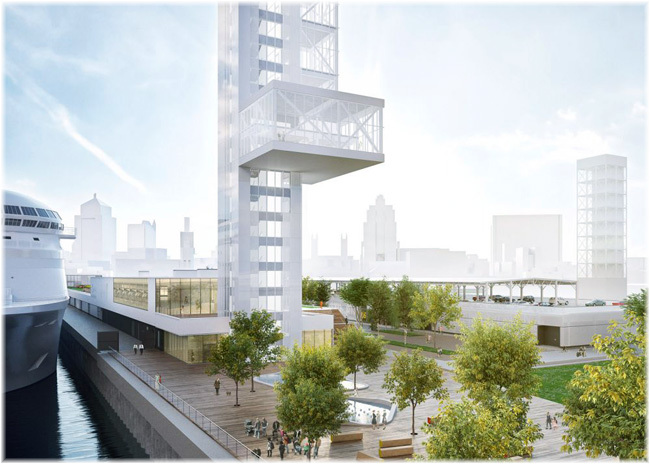 A Century later, in 2019, the new observation tower will be opened to celebrate Montreal’s 375th Anniversary as one of the oldest cities and centres of civilisation in North America. 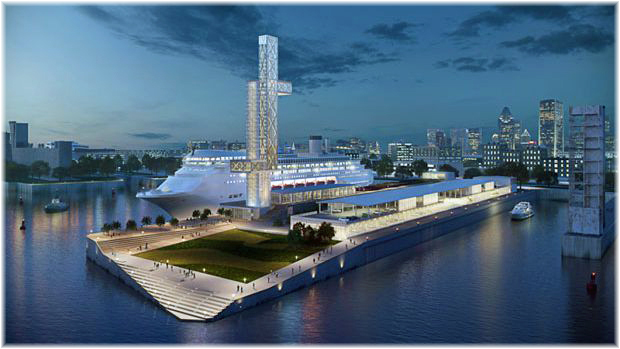 Perhaps the most significant aspect of the new cruise terminal design, however, is that, like Vancouver’s Canada Place, which was built on Canadian Pacific’s old Pier BC, it will open up Montreal’s port to the public. By being included in the plan, the new terminal’s public areas will allow the public to appreciate the city’s port and historical and economical ties that are still important today. According to reports from Cruise Industry News and Bloomberg, Hurtigruten could be on the block again, according to sources familiar with that company. TDR, the British private equity firm which acquired a 90% interest in Hurtigruten in late 2014, is said to be talking to three potential buyers after having received unsolicited offers. 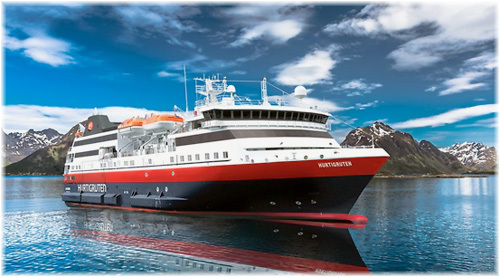 Since 2014, Hurtigruten has acquired and refurbished a new ship, the 335-berth Spitsbergen, in addition to refurbishing four existing ships. It has also more recently ordered two newbuildings, with an option for two more. When TDR acquired Hurtigruten, the bid at the time valued the company at about $884 million, with in addition to TDR two existing shareholders, Norwegian investor Petter Stordalen and Trygve Hegnar’s Periscopus AS, with 5% each. Each investor could see the value of their stake double if TDR succeeds in finding new buyers willing to pay a good price. That means the fund’s partners and investors could profit handsomely on a company that also receives large state subsidies. But Stordalen, known in Norway for his hotel investments, is said to think it is more likely that additional investors will buy into the company. Strong results are said to have increased interest in the company, which reported an 18.3% increase in operating revenues and a 90.5% jump in operating profits last year. The company nonetheless logged a pre-tax loss because of large one-time charges tied to the acquisition and refinancing of the company in 2014. Hurtigruten and TDR declined to comment on these reports. They do after all serve different markets. Windstar recently surveyed 20,000 travel agent partners, creating an agents program called Star Promise in response to their feedback. The company is also considering ways of taking advantage of the popularity of small ship cruising in the UK and Australian markets to grow its business in those markets, as well as finding a way of taking advantage of the growth expected in Asia. 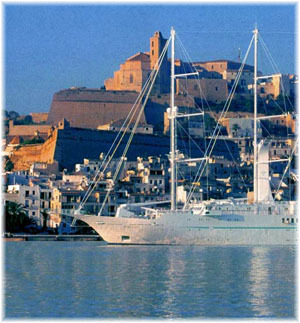 Windstar, owned by Xanterra Parks & Resorts, is also said to be looking to expand its activities into the marine adventure activities. 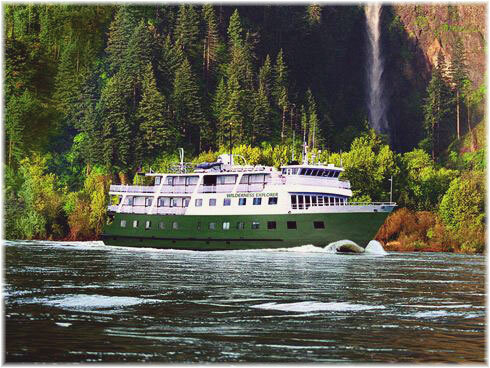 At the same time, another Seattle-based line, Un-Cruise Adventures, has started some rebranding of its own. As the line continues to grow, it is moving to a more unified and simplified brand for its entire fleet and for all its destinations. 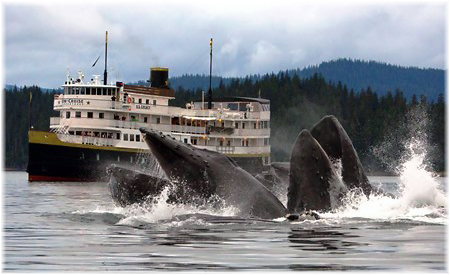 The company was formed as American Safari Cruises in 1996 and has consolidated a number of small ships into its fleet in receny years. To give some consistency to Un-Cruise Adventures’ brand, starting in the spring of 2017 all vessels in the Un-Cruise Adventures fleet will now include premium spirits, fine wines and microbrews in the cruise fare, while port charges will be separated from the base fare across the fleet. To make the transition easy, cruise fares won’t go up until at least the spring of 2018. Other changes planned for 2017 include no boot rental fee on the Wilderness Adventurer, Wilderness Discoverer, or Wilderness Explorer, and massage to be included on the Safari Endeavour and Safari Explorer in Alaska. Recommended gratuities on all vessels will be US$25-$35 per person per day and no longer based on a percentage of fare paid, starting with April 2017 departures. With the yachts and tall ships of Windstar and the boats and small vessels of Un-Cruise Adventures it seems to be a question of “Shipless in Seattle” for these two.